The network of World Heritage properties was inter alia intended to ensure the proper preservation of the natural and cultural values of sites inscribed on the World Heritage List. Today, as the planet finds itself confronted with the impact of climate change, the existence of this network is proving to be of the highest importance in monitoring changing conditions and advancing solutions on the ground. Climate change, in the words of the authors of the lead article of this issue, ‘is arguably the greatest environmental and social issue of our time’. Yet such change does not affect all cultural and natural heritage sites in the same way, and understanding its impacts is relevant to the preservation of the sites concerned. Importantly, the World Heritage sites also harbour options to mitigate and adapt to climate change through the ecosystem benefits, such as water and climate regulation, that they provide and the carbon that is stored in World Heritage forest sites. Cultural heritage, on the other hand, can convey traditional knowledge that builds resilience for change to come and leads us to a more sustainable future. The accumulated knowledge of local and traditional communities on plants, animals, seasons and natural phenomena is now referred to as intangible cultural heritage. As Rahul Goswami makes abundantly clear in his article, this heritage has proven to be a rich source of information, and recently also the climate change community has become aware of the important role of culture in tackling climate change. The exceptional monitoring network of World Heritage sites puts at the disposal of all nations the knowledge of these specialists whose competence touches upon natural and cultural features of our very existence in all regions. UNESCO has been at the forefront of exploring the impacts of climate change on World Heritage. 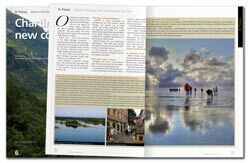 In 2007, under the guidance of the World Heritage Committee, it prepared a report on Predicting and Managing the Effects of Climate Change on World Heritage (2007), followed by a compilation of Case Studies on Climate Change and World Heritage, and a Policy Document on the Impacts of Climate Change on World Heritage Properties in 2008. In May 2014, it published a practical guide to Climate Change Adaptation for Natural World Heritage Sites and continues to build the capacity of site managers to deal with climate change. 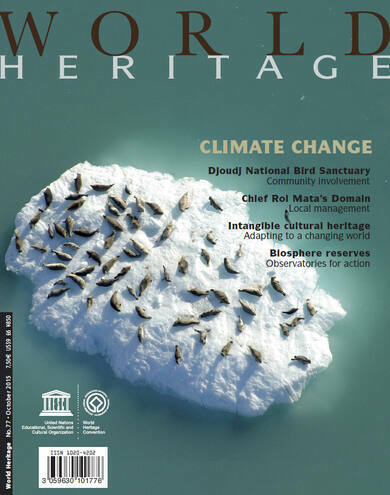 The World Heritage Convention has gradually evolved into a tool of expertise that is now in a position to monitor the progress of climate change and to suggest pertinent practical measures devised to mitigate and adapt to its impact, not only on plant and animal species but on human life itself. 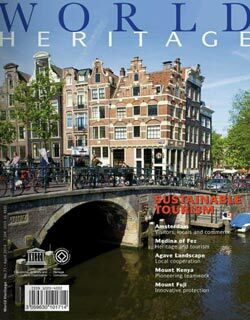 The case studies published in this issue offer remarkable insights into specific aspects of climate challenges to World Heritage sites in different parts of the world. As climate changes, managers of World Heritage sites and other protected areas must raise awareness and communicate their relevance beyond the usual partners and supporters of conservation and stewardship. The locations of Chief Roi Mata’s Domain principal sites are all based on a profound awareness of the history of cyclones, tsunamis and other natural disasters familiar to the community and its inherited knowledge. It is important to increase the knowledge of local communities and site managers regarding the interrelations between communities, climate change and sites of international importance. Indigenous peoples have actively managed the land and the environment for a sustainable existence as they moved across many types of land and seascapes. Biosphere reserves are special places for the development and testing of ‘sustainability science’ and interdisciplinary approaches to understanding and managing changes and interactions between social ecological systems.